Associated Bank has unveiled plans for a new downtown branch to be located on Broadway Street, approximately two blocks south out its current location. The riverfront site, located across the street from Fire Station 1, is already under contract. Associated expects to submit its permitting documents to the city within a few days and continue analysis of its plans for the new branch. “While we are still early in the process, we believe our plans are very good news for the vibrancy of Rochester’s central business district and will provide our valued customers who connect with us downtown with an enhanced banking experience,” said Tim Lau, Associated EVP and head of community markets. 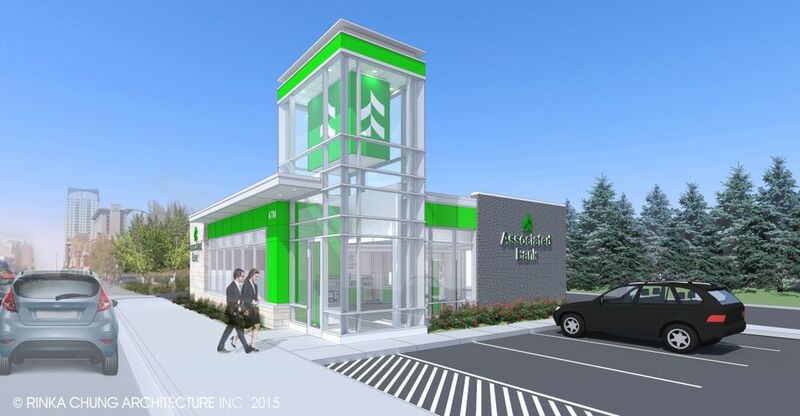 Lau said the branch is planned for 2,400 square feet and will feature Associated’s updated, branded architecture and a range of contemporary banking services. If plans go as scheduled, the new location will be completed later this year. Associated colleagues currently working at the 206 S. Broadway branch will then move to the new location. Associated last month opened a new branch at 1985 Commerce Drive NW in Rochester. It has existing branches in the pedestrian subway at 101 1st Street, and at Apache Mall.